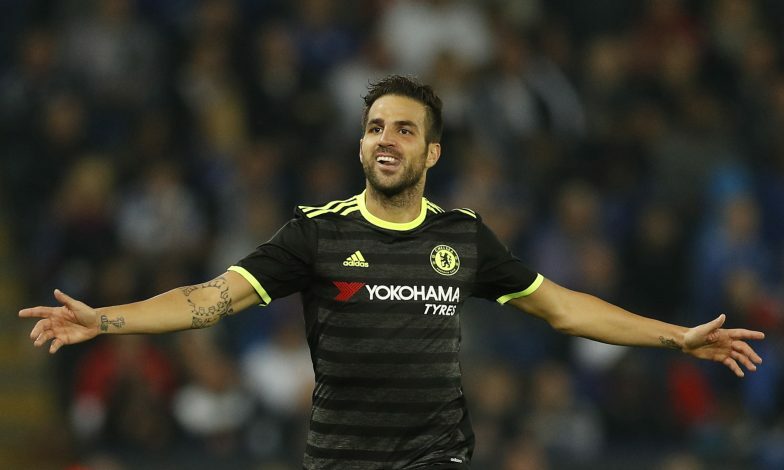 Real Madrid are planning a summer swoop for Chelsea midfielder Cesc Fabregas, according to Spanish outlet Diario Gol. The Spanish international has seen his game time largely diminished under the new Blues’ boss Antonio Conte. Cesc continues to find it difficult to break into the Chelsea starting lineup due to his Italian boss preferring the central midfield partnership of N’Golo Kante and Nemanja Matic instead. Amid Fabregas’ struggles at the Stamford Bridge outfit, a new European powerhouse has emerged as an interested party looking to lure him away from Chelsea, in the form of Real Madrid. Zinedine Zidane seems to be on the lookout for a creative central midfielder, and has thus, identified the former Barcelona star as a potential transfer target. It is being said that the French manager is especially looking for a player with the ‘Barcelona DNA’. The Los Blancos are apparently ready to part ways with the likes of James Rodriguez and Isco – who have been repeatedly linked with a move away from the Spanish capital anyway – to make way for Fabregas. But if Chelsea do agree to part ways with the 29-year-old, Arsenal too could join the race for his signature, especially after Fabregas’ recent claim that the Gunners will forever hold a special place in his heart.